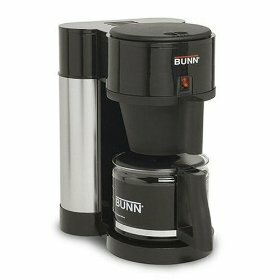 Bunn coffeemakers have the best drip that is why this coffee maker is considered to be one of the best coffee makers in the market today. I have owned a bunn coffee maker for so many years and I think that I have no plans of replacing this coffee maker with other brands. I have received many different coffee makers in the past but those ended up either in my garage or in some of my friend’s house. Nothing can compare to the flavor the bunn coffee maker produces as the quality of the coffee it produces is beyond compare. For more information on bunn, filter or even cappuccino machines, check out our home page -with more than 1000 pages of articles, should have what you are looking for. Join in and write your own page! It's easy to do. How? Simply click here to return to Drip coffee maker.